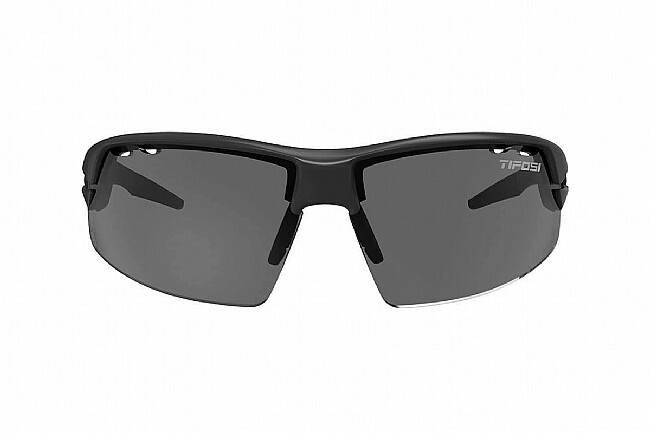 The Tifosi Crit Sunglasses deliver lightweight, low-profile eye protection with clean aerodynamic lines. Engineered for ventilation, the Crit's specialize in staying cool - even when things heat up. Made of Grilamid TR-90, a homopolyamide nylon characterized by an extremely high alternative bending strength, low density, and high resistance to chemical and UV damage. Hydrophilic rubber ear and nose pieces for a no-slip fit. Adjustable ear and nose pieces for a customizable, comfortable fit. Vented lenses improve air circulation, prevent fogging. Bought for my wife. She says they are working out well. Nice glasses and the vents help with condensation build up. The photocromic lenses seem to change faster than some others I have tried and the fit is really good.